For this issue, we decided to brew a beer that is dear to the city of London, but has been long forgotten. 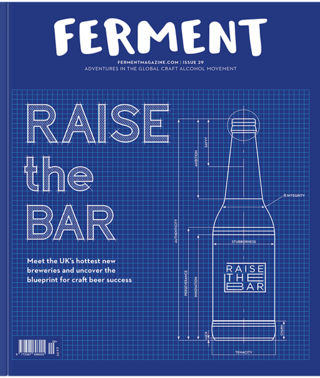 For this issue, we decided to brew a beer that is dear to the city of London, but has been long forgotten. 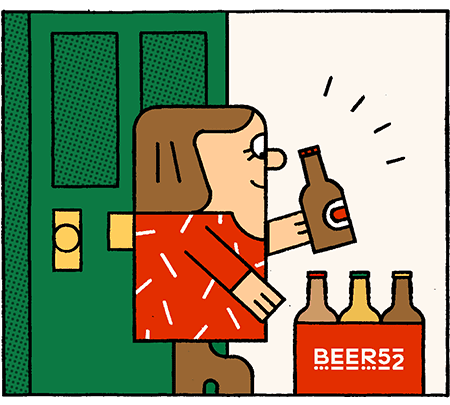 Often when brewers consider classic London beer styles they envisage dark, roasty porters or rich and fruity ESBs, but what many brewers overlook is one of the simplest styles brewed across Britain during the 18th and 19th century, the ‘Small Beer’. ‘Small Beers’ were traditionally associated with an inferior product; often the result of parti-gyle brewing, a technique allowing brewers to split the higher concentrated wort at the beginning of the lautering process from the less sugary wort towards the end. These multiple runnings obtained from the mash could then be split into a ‘Strong Beer’ or a lower alcohol beer such as the ‘Small Beer’. Because of the lack of alcohol however ‘Small Beer’ has a far shorter shelf life in comparison to it’s stronger cousins. This combined with the lack of refrigerated storage for beer during the 18th and 19th century often lead to a poorer quality, low ABV product. This style is particularly significant however as it powered the people during a time when most water was not suitable for drinking due to bacterial and viral infections. As a result the low alcohol content of the ‘Small Beer’ (usually ranging from 1.5-3.0% ABV) helped to quench the thirst of the nation. For our take on a ‘Small Beer’ however we decided to brew the beer using a single infusion mash, avoiding the traditional parti-gyle production process. 10.9 Litres of mash liquor was heated to our target temperature of 72°C in order to reach our strike temperature of 67.5°C with 2.8 kg of grain. We chose this relatively high mash temperature in order to mainly activate β-amylase enzymes, which break down the grain’s starch into simpler sugars such as maltose and maltotriose. This higher mash temperature is less suitable for β-amylase enzymes, which are more active at lower temperature ranges (60-65°C). This higher mash temperature should therefore leave more unfermentable sugars in the wort, which will contribute to an increased mouthfeel – an important feature to enhance in a beer with lower alcohol content. The grist was then doughed in using our mash paddle to ensure all the grain was exposed to the mash liquor. After an hour of recirculating the wort using the Grainfather’s inbuilt pump, we vorlaufed for 20 Minutes to ensure the wort that left the mash had good clarity and no obvious chunks of grain or husk would be carried through into the kettle. During the hour-long mash process we heated 17 Litres of sparge liquor to 79°C and this was then used during the lauter to rinse the grains and extract any remaining sugar from the mash. Towards the end of the lauter we began heating the wort until we collected our desired volume of 28 Litres, where we continued to heat the wort until the boil was reached. This volume allows us to lose 10% of our volume during the boil due to evaporation, as well as a few extra litres to hop trub post boil, or yeast trub post fermentation – leaving us with a desired yield of 20 Litres of beer. Bramling Cross is a traditional dual purpose hop offering a resinous bitterness quality, alongside a herbal and blackcurrant aroma; this was paired with East Kent Goldings, a hop commonly used for late hop additions to contribute a floral and citrus aroma to the beer. Both hop choices were selected, as these would have been used in many British beers during the 18th and 19th century. After the boil, the wort was chilled using our makeshift chilling system (a bucket of ice). This is definitely something we may look to change for the next team brewday as achieving a cold-break as quickly as possible is important in order to encourage precipitation of proteins, thus giving better clarity of the final product. Noooope! Nope, nope, nope, nope, nope. It's hard to pinpoint exactly what went wrong with this brew. Was it the wall-painting explosion of froth that resulted from opening the first bottle? Was it the colour, best described as the shade you got when you mixed all your poster paints together as a kid? Was it the aroma, redolent of a vegan farting into a tube of sourcream and chive pringles? Or was it the taste; dusty, cabbagey, slightly sour yet thin and tannic? I suspect there was a perfectly good beer in there somewhere, but I messed it up somehow. The recipe was for a weak-ish beer, but I still managed to undershoot the ABV considerably, so I guess the mash wasn't efficient enough. I probably also threw in too many nettles (I didn't want to waste any, having been stung somewhat for my troubles) making the whole thing taste too healthy. Might have been a bit of an infection too, but at this point it hardly matters. Fail.